The mission house in Shebeyang was built; I helped as much as I could. 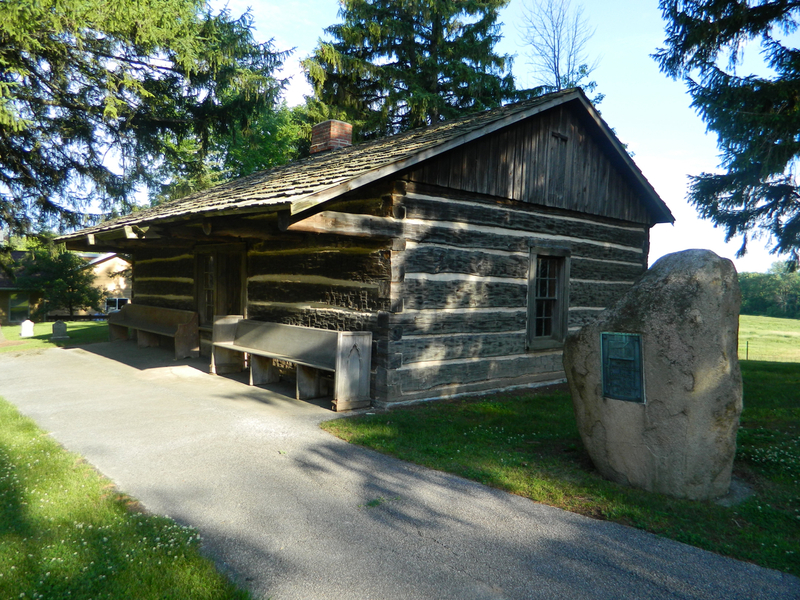 A long log house made from squared fir trunks, the house was divided in the middle, one half being the missionary’s residence and the other being the church and school. It was dedicated. Baierlein from Bethany preached;13 Jacob Graverad translated. His father, an Englishman, a liquor dealer among the Indians at one time, was Auch’s translator at first. But the Indians who already understood some English told Auch, “Graverad does not say what you say at all. He often says the opposite.” So Auch dismissed the elder and employed the younger. The tall Jacob, however, knew well how to speak good Indian, but was bad at English. He called everything “she”. 1 Johann Konrad Wilhelm Löhe (1808-1872) was a confessional Lutheran pastor in the village of Neuendettelsau in Franconia, Bavaria, Germany, from 1837 until the end of his life. In 1841 Friedrich Conrad Dietrich Wyneken traveled around Germany pleading the cause of the spiritually needy Lutherans in America. From his small village Löhe answered the plea in a big way. (See the following endnotes.) One of his men, Wilhelm Sihler, sent over in 1843, founded what would become Concordia Theological Seminary in Fort Wayne, Indiana, in September 1846, which was eventually entrusted to the Missouri Synod, in whose founding Löhe played a large role. 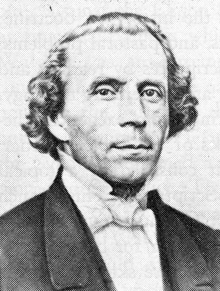 Löhe separated from the Missouri Synod in 1853 over the doctrine of church and ministry. He helped found the Iowa Synod the following year. 2 Adam Ernst (1815-1895), formerly a journeyman shoemaker, and Johann Georg Burger (1816-1847), one of Ernst’s friends, were two volunteer helpers whom Löhe sent to America in 1842. Ernst eventually became a member of the Ohio Synod, and Burger eventually ministered in Hancock and Van Wert Counties in Ohio. 3 Georg Wilhelm Christoph Hattstädt (1811-1884) was sent to America by Löhe in 1844. 4 Friedrich August Crämer (1812-1891) met Löhe in 1844 and was sent to America in 1845. He was pastor in Frankenmuth until 1850, when he accepted a call to be a professor at the seminary in Fort Wayne, Indiana. See also next endnote. 5 All the names the Franconians gave their settlements were personalized paraphrases for God. Frankenmuth means the (Source of the) Franconians’ courage. A Historic Site sign outside of St. Lorenz Evangelical Lutheran Church on West Tuscola Street tells the story of Crämer and the city’s founding. 6 Johann Heinrich Philip Gräbner (1819-1898) was sent to America by Löhe in 1847. Frankentrost means the (Source of the) Franconians’ comfort. Today Frankentrost is a small unincorporated community about eight miles east of Saginaw, identified by Immanuel Evangelical Lutheran Church (LC-MS) on the southwest corner of MI-46 and Mueller Road. 7 Georg Ernst Christian Ferdinand Sievers (1816-1893) was sent to America by Löhe in 1847 and became pastor in Frankenlust, Michigan. Frankenlust means the (Source of the) Franconians’ joy. Today the location of the original colony is marked by St. Paul Lutheran Church on the southwest side of Bay City on the southern corner of Westside Saginaw Road (MI-84) and Ziegler Road. 8 Ernst Ottomar Clöter (1825-1897) was sent to America by Löhe in 1849. He was installed as pastor of Holy Cross Lutheran Church in Saginaw by Pastor Sievers (see preceding endnote) on November 30, 1849. 9 Frankenhilf means the Helper of the Franconians. Eventually this colony was founded in 1851. Today it is the village of Richville. 10 Strieter is in error here. Friedrich Johann Carl Lochner (1822-1902) came with Crämer in 1845, not with Sievers in 1847. 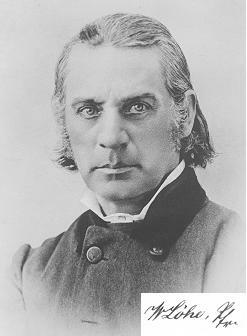 Lochner was first the pastor of a “United” congregation in Toledo, Ohio, but left when he failed to have it constituted as a Lutheran congregation. He then served Lutheran churches in Madison and Macoupin Counties, Illinois; Milwaukee, Wisconsin; and Springfield, Illinois, where he was also an instructor at Concordia Seminary. 12 In his letter dated January 31, 1848, Pastor Schmid gives no hint of any strife. But his next letter to the Basel Mission Institute, written three years later, on April 29, 1851, he records the breakup from his perspective: “For nearly eighteen years I have served numerous congregations here with the Holy Word and Sacrament, in which there are Lutheran and Reformed from the homeland. Yet I have never had to experience the slightest criticism on the part of the Reformed because of teachings and creed. As far as church practice is concerned, I maintain everything according to our Württemberger church, except that we from early times did not have Communion wafers. If the divine truth is proclaimed in a godly and powerful manner and the pastor lives in the strength of the gospel, then the truth-loving and the truth-seeking people of both confessions can get together through the strength of the Word; and this will also occur without any attempt to force a union. For that reason there are, I think, many in the congregation here whose parents were Reformed, but I am not certain of it. I do not inquire about it, for they are united and happy with and through the proclaimed Word of the cross and the holy sacraments. Firmness in the teachings and in the creed is required here, and if this exists, then the Spirit of the Lord will be with his Word… As far as the rigid Old Lutherans are concerned, with whom I have come into contact without learning to know them, I respect their sound teachings, but these people are mostly lacking in living faith, and for that reason there is so little love and so much harshness toward others. Their rigid ceremony and their strong condemnation of others are terrible things to me. … I could not join this synod [the Missouri Synod], out of conviction. We too had a synod among us here, but it lacked firm foundation and therefore collapsed; some wanted an organization strictly Lutheran, others not so strict, and as a result a lengthy paper was drawn up but when one wanted to follow its path, the wind blew it away. … That we have erected a mission here and that we have already worked a year among the Indians with blessing in this state is already known, and that our missionaries joined the Old Lutherans and that they demanded from us what we couldn’t do, you probably also know. Thus we had no choice but to turn over the mission with its missionaries to the Old Lutherans, and thus our mission endeavor is restricted.” In a letter dated February 9, 1857, Schmid reports that he had joined the Ohio Synod the previous fall, but in a letter dated November 14, 1859, he says that the Ohio Synod did not suit him because of “their stiff and strict forms and ceremonies,” and on March 19, 1861, he reported that he and several brothers had resurrected the Michigan Synod (the so-called Second Michigan Synod) in December 1860. Pinpointing Schmid’s theological position is difficult. He certainly seemed to breathe an evangelical spirit, and it seems that the early Missourians could have learned something from him in this regard. But the Missourians’ charge of doctrinal duplicity against Schmid is also hard to refute. In the final analysis, Schmid made too big a deal out of the Missourians’ ceremonies (something Schmid himself said earlier he did not want to do) and his accusation against these early Missourians for lacking a living faith is unfounded, as evidenced, among other things, by this autobiography. 13 Eduard Raimund Baierlein arrived in Frankenmuth to serve as a missionary to the Ojibwe in 1847. 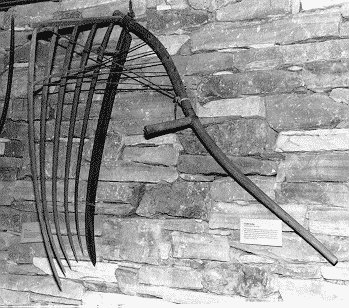 He labored at the Bethany mission station in St. Louis, Michigan, about 34 miles west of Saginaw, from 1847-1853. In this section Strieter tells the story of how the lumber for the mission house in Shebeyang (or Shebahyonk) was obtained. See here, here, here, and here. The Historic Site marker at the Indian Mission today simply sums up all the history below with one sentence: “In 1849, Rev. Mr. Auch ferried lumber from Lower Saginaw to Shebahyonk on Wild Fowl Bay, seven miles north of Sebewaing.” But I imagine a capable tour guide could keep an entire audience staring in wonder just at the siding of the Mission for upwards of five minutes, if he or she were able simply to retell the story below. In the spring a mission house was to be built in Shebeyang, for which we needed boards. My brother-in-law [Missionary Auch] and I took our seats in the mission boat, which was 20 feet long with one mast and a sail. We had no wind and had to “pole” the boat, that is, propel it with poles. Toward evening we came to a small little stream, navigated into it, made a tent, brought our blankets and our trunk inside, made ourselves a fire, and cooked tea and eggs. We had bread too. We ate and went to sleep. During the night the wind came from the other side and drove the water from the little stream out into the bay, and our boat sat there on the sand. We packed everything back in and now worked at getting our boat into the water. We had to go into the water. Boots and stockings came off and now, with our poles stuck in under the boat, we lifted up and pushed them against the side, until the thing was floating. We got in and put our stockings and boots on – people wore boots back then – and off like the wind we went. But the wind was too “close”; we could not reach the lighthouse at the mouth of the Saginaw River.32 We navigate to shore and I say, “I am getting the fever!” That doesn’t help any; I start yawning and getting the chills. We stand there for a while, but night is approaching; we have to get going. We push our boat back until we reach the river. Then Auch took a rope, went up on shore and pulled the thing, and I was supposed to keep it away from shore with a pole. But I wanted to sleep after I got the chills, for it was the dumb ague. Bump, my boat strikes against shore. I wake up and push it back off. The wind is making little ripples, and I think, “That is a turned down bed. You should just go crawl into it.” Bump, my boat strikes against shore again, and I push it off again. Finally there is a little house on the prairie in the distance. My brother-in-law says, “Those are Frenchmen. Let’s go and find out if they’ll put us up for the night.” We go over; the house is locked. A little ways away is another house; we see light there. Off we go over there. There we find two women, the mother from the first house and her daughter in the second house. Their husbands were out fishing. There were two beautiful children in the cradle, one with the head at one end, the other with the head at the other. One belonged to the mother and the other to the daughter. Auch asked if we could stay overnight. They said sure. Pretty soon the mother takes off with her baby, and the daughter plunders her bed to make one for us on the floor. I slept gloriously. In the morning the woman bakes buckwheat cakes and roasts salt pork and fish. O how great it tasted – better than on the ocean. Auch asks what we owe her, but she doesn’t want anything. I say, “Give her a half-dollar.” He took out his money-bag and gave her a brand new half-dollar. Then she laughed anyhow, and was very pleased as she examined the half-dollar in her hand. We returned to the boat and were off. We went to the sawmill and my brother-in-law bought wood. But we have to go to Upper Saginaw, because everything else could only be bought there. There I develop my fever again. My brother-in-law brings me to the inn. A fat woman takes me up to a bed. Every moment she comes and wakes me up in English: “You musn’t sleep!” At any rate, we got back up to Lower Saginaw and stayed overnight with a Frenchman. There we had boiled potatoes [Pellkartoffeln], salt pork, and fish. We now loaded our boat full of lumber, so that it was only a handlength above the water, and we made our way to the bay. A strong wind was blowing, but since we were near the mouth of the river, the wind was too “close” to us and we had to drop the sail and grab for the poles. We work tremendously hard; the waves are always throwing us back against the right shore. Finally we are around the corner.33 In front of us a sailing ship lay at anchor. It had a large float of boards hanging at the side, which were to be loaded in once the water had quieted. We tied our boat to the float and then had a look at the bay. The water was very turbulent, the waves were running high, and there were whitecaps everywhere. The captain appeared on his ship and shouted to us that we should go back into the river. He said the water was much too high for our boat and he could not hold us; his anchor had enough weight to hold already. He says, “If you’re up for it, let’s keep going.” He reefs the sail in until it’s a piece as large as a tablecloth. I untie the rope, and he hoists the sail. Whoosh, we whizzed on past the ship out into the open, stormy bay. At first I felt strange though. When the boat was at the top of a high wave, I would think, “Now it’s going to rush down into the trough and right down to the ground.” But look, just like that it was back at the top of another wave. My brother-in-law began to sing. Then I relaxed and thought, “If you are singing, there must not be anything to worry about.” But the boat traveled so horribly that it tilted way to the front, as if it were going to stand up on its head, and the water was constantly washing in at the front, so that I had to bail water almost continuously. In two hours we were at the mouth of the Sebewaing River, so we had done about thirty miles in two hours. 32 That is, the wind was blowing from the direction they wanted to go. 33 At the mouth of the Saginaw River, there is a projection of land along the eastern bank. It was around that time, I believe, that Schmidt founded the so-called Michigan Synod. He wanted to start a mission among the Chippewas in Huron County, on the eastern shore of Huron or Saginaw Bay.21 He had selected my brother-in-law, who married my second sister Dorothea, to be his missionary. My brother-in-law left his farm and went to attend the university in Ann Arbor. Later he ran to Schmidt every day to learn theology from him. Candidate Auch was ordained. The head of the Michigan Synod was Metzger from Liverpool, Medina County, Ohio.22 He came from Liverpool and delivered the sermon.23 Candidate Auch told me afterwards that he had seen Metzger drinking a bowl of punch before he went to church. The sermon certainly fit the description – a crude rant against the Catholics. As he preached, the spit flew out of his mouth. Auch moved to Sebewaing, Huron County.24 Schmidt trained another man, Sinke, a ladies’ tailor from Germany by profession. He was a very short little man, physically and intellectually lacking. Schmidt also trained another man, Meyer. All three also preached by us in Freedom. Auch made it through and so did Meyer, but Sinke got pathetically stuck right away in the beginning and got down from the pulpit after several fruitless attempts. Schmidt sent Sinke and Meyer to Auch in Sebewaing. Sinke tailored there and mended clothes for the Indian boys, for Auch ran an Indian school.25 Meyer, however, mostly served the station in Shebeyang.26 Schmidt and my father wanted me to become a missionary too, and to be trained by Schmidt as well. I had no desire for that. Schmidt was repulsive to me, especially since people commonly spoke about his greed. I worked the field with my father. My third sister Katharina married Friedrich Luckhardt, who, even though he had no experience as a farmer, bought forty acres of land and took up farming. My fourth sister Christiana married Christian Bach, a farmer, whose father bought him sixty acres of land over in Bridgewater, where my brother-in-law Müller also moved. My youngest sister Margaretha married a blacksmith, Johann Killinger, who had twenty acres of land near his smithy. My brother Jacob married a girl who had recently come from Germany, Christiana Trinkler. We called her Nana. My brother-in-law Killinger asked my father to let me help him. So I worked with him in his smithy and in his field. I even had it in mind to learn that fine trade, but it was not the will of our dear God. I got very sick with typhoid and had to go home. My sainted mother was sick for a year; she suffered from gout. She died on October 4, 1847, at age 56. Ten months later, on July 27, 1848, my father died at age 60. He was only in bed for two days. Just after New Year’s of 1850 I set my bundle on my back to go and visit my brother-in-law and my sister in Sebewaing. I marched from Ann Arbor to Saginaw. There my brother-in-law picked me up with the sled. Saginaw at that time had one street along the river, one inn, one store, several liquor dens, and a row of small houses. Lower Saginaw, now Bay City, also had one small street along the river, one liquor den where people could also buy all sorts of small and sundry items, and a small number of small houses. But there was a large sawmill nearby, and on the road to Upper Saginaw another very large one, and on the east side of the river, now East Saginaw, yet another very large sawmill. My sister had no children. She had a mishap with her first delivery. They were very happy to see me. I was always the favorite with my siblings. I now made myself as useful as I could; I even taught a little school with the dear Indian children. I still often went with dear Meyer and had fun with him at his expense. He was no horseman. There I would ride next to him and would knock his stirrup off his foot. Then I would put my horse into a brisk trot and his horse would want to do the same, and he had to hang on tight to the mane. If we came to a wet spot, I would go right through with his horse behind me so that the water would splatter all over him. Once in a while he would scold, but most of the time he laughed. 21 In a letter dated April 1, 1843, Pastor Schmid wrote: “You know from my last letter to you [dated February 5, 1842] that we are willing to do something among the aborigines of this land, to bring them the gospel. The Lord has since that time guided us so that we hope to carry out this enduring desire within the coming year. We organized a mission society and took in a number of young men who will prepare themselves to carry the flag of the cross of Christ to the poor Indians. … For nine years I have been here and labored in the part of the vineyard of the Lord assigned to me without my joining a Lutheran synod, partly because Michigan is so far from the other states whereh the synods exist, and part because the synods include too many who are unbelievers. But to become more solidly founded and to be able to work unhindered in the Kingdom of God, we – Brother Metzger, Brother Cronnenwett [in the previous letter spelled Kronewett and in a subsequent letter Kronenwett], whom we ordained last year and who served with blessing in several congregations in the state of Ohio, and I – formed a synod, in order to be able to ordain our pupils in the future.” This synod is now called the First Michigan Synod in retrospect, because when Schmid didn’t strictly insist on subscription to the Book of Concord, four pastors, who had joined the synod soon after its founding, left and became founding members of the Missouri Synod. The first Michigan Synod, also called the Missionary Synod of the West, disbanded shortly thereafter. Strieter will talk more about this later. 22 Rev. G. W. Emmanuel Metzger, a native of Württemberg, Germany, was pastor of what is today Zion Evangelical Lutheran Church in Valley City, Liverpool Township, Ohio. 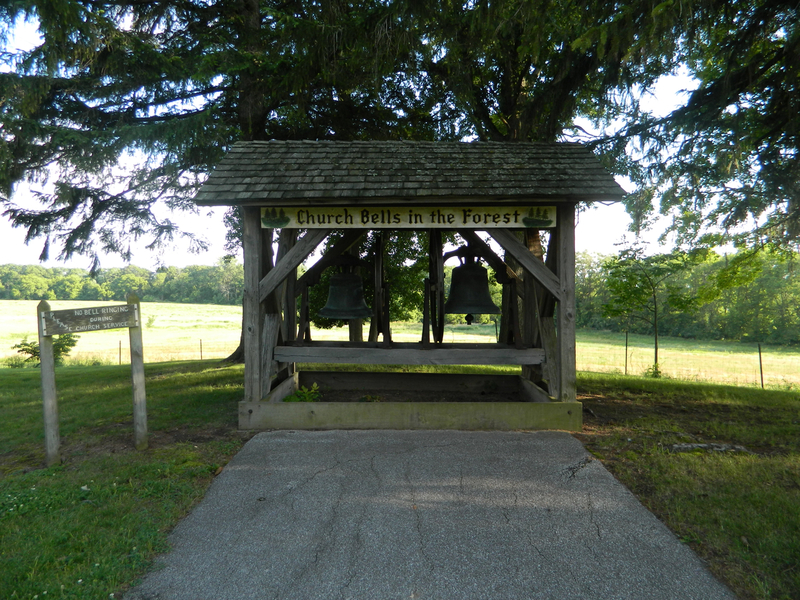 When he arrived in 1834, the congregation had a log church more than a mile south of Valley City, also called Liverpool Center. In May 1838, a frame church was dedicated about a mile further to the southeast. This caused dissatisfaction with some of the members, who left that congregation and started their own, Emmanuel in Valley City, today Emmanuel United Church of Christ. Metzger appears to have served the mother congregation until the fall of 1843, since Pastor Schmid wrote in a letter dated August 19, 1843: “Brother Metzger will, I believe, accept a call in Canada this fall, which is better for his family relations.” At any rate, Rev. Karl August Wilhelm Röbbelen, sent by Wilhelm Löhe (whom Strieter will mention later), was installed there in 1846. Around 1850, there was another division in the mother church, which resulted in the founding of St. Paul in Valley City (LC-MS). The mother church Zion eventually joined the American Lutheran Church and is today a member of the ELCA. 26 J. F. Meyer (or Maier) worked at the Shebeyang (or Shebahyonk) mission, located on Saginaw Bay near the mouth of the Shebahyonk River, today called Shebeon Creek, about seven miles north of Sebewaing. 27 In other words, Johannes threw up.